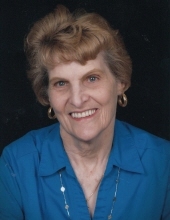 Phyllis June Morgan, 84, died peacefully at Hubbard Hospice House on January 13, 2019. Phyllis was born January 27, 1934 in Webster Springs, WV to Kenneth and Opal Nichols. She attended the University of Charleston and graduated with a degree in accounting. Phyllis worked for a prominent accounting firm in Charleston until she retired to take care of her beloved mother. Phyllis was a member of Emmanuel Baptist Church on Charleston's West Side. Phyllis is survived by her sons, Hillard Cochran (Kathy), David Cochran (Melody), Mike Cochran (Judy), Pat Cochran (Vicki), her brothers, Bill and Kenny Nichols, 13 grandchildren, 25 great grandchildren, and one great great grandchildren. Her parents, Kenny and Opal Nichols and her grandson Chase Cochran preceded her in death. Visitation with the family will be Tuesday, January 15, 2019 at Cunningham-Parker-Johnson Funeral Home from 5 to 7 PM. Private family bruial will be Wednesday, January 16, 2019 at Miller Cemetery, Webster Springs, WV. In lieu of flowers, please make memorial donations to Hospice Care, 1606 Kanawha Blvd. W. Charleston, WV 25387. Cunningham-Parker-Johnson Funeral Home is serving the Morgan Family. To send flowers or a remembrance gift to the family of Phyllis June Morgan, please visit our Tribute Store. "Email Address" would like to share the life celebration of Phyllis June Morgan. Click on the "link" to go to share a favorite memory or leave a condolence message for the family.